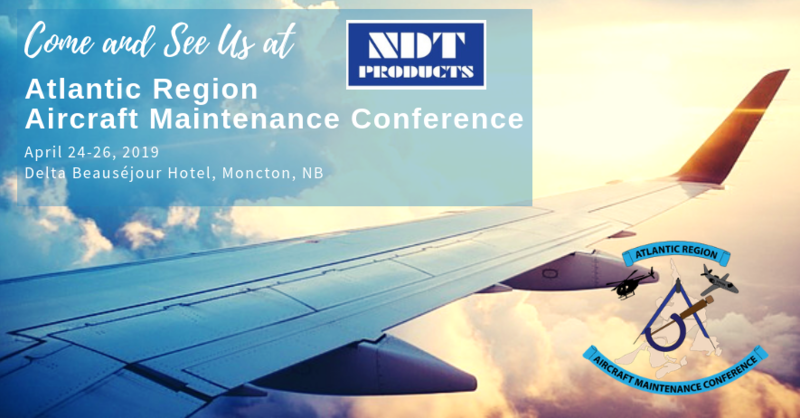 The 41st Annual Atlantic Region Aircraft Maintenance Conference (ARAMC) will be held on April 24-26, 2019 at the Delta Beauséjour Hotel in beautiful Moncton, NB. This year’s theme is “Maintaining Excellence.” Be sure to stop by NDT Products Limited Booth No. 16 during the event to see the latest product innovations in the field of NDT from our OEMs such as GE Inspection Technologies, Hitachi High-Tech Analytical Science, Magnaflux, REL, and Aviation Maintenance Supplies and Equipment: 3M, Socomore, Radco and so much more. See you there!